Apple has just released iTunes 10.5.1 Beta 3 to developers, with the update bringing a number of improvements to Apple’s upcoming iCloud-based subscription service, iTunes Match. 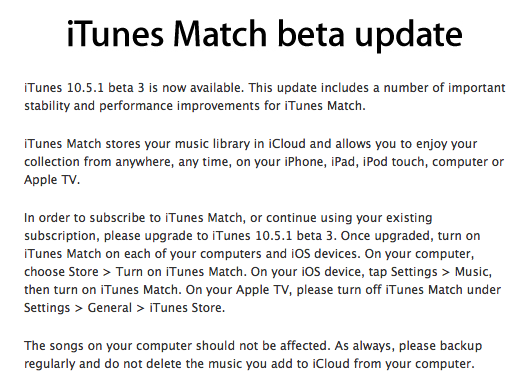 iTunes 10.5.1 beta 3 includes a number of important stability and performance improvements for iTunes Match, and is a required update for all subscribers to iTunes Match beta. iTunes Match was originally supposed to launch in October, but has suffered a number of teething issues that have delayed its release. 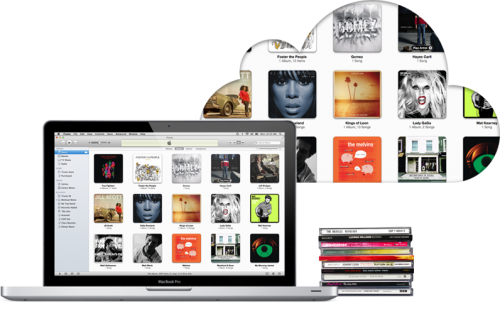 Given the rapidity of recent beta releases, we’re expecting to see iTunes Match available to customers within several weeks. When available, iTunes Match will initially cost $24.99/year and will match your entire iTunes library with an identical one in the iCloud – allowing you to access your music from any iOS-enabled device.